Enhance functionality to your bathroom setting with the premium Impey Accessories. The accessories are crafted using premium materials to ensure durability. 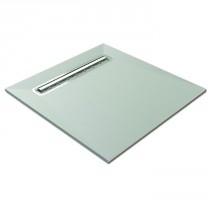 The bathroom fittings will suit any kind of bathroom space ranging from contemporary to traditional ones. Lifetime warranty. Impey make a wide range of bathroom accessories and fittings to improve your bathroom, making it more convenient to use. From corner baskets, foot rests and bath caddies to grab rails Impey work to make showering more enjoyable and accessible. Impey also make a range of products that are hidden from view such as waterproof liners for tiling and wet room systems and wastes.